Paper and Ink Playground: It's May Arts/Graphic 45 Blog Week! It's May Arts/Graphic 45 Blog Week! We've paired May Arts Ribbons and Graphics 45 to bring you a week full of fun, giveaways and projects. We'll be posting our projects on our individual blogs so grab a cuppa something, a Christmas cookie and come along, 'cause you'll want to see it all. I'm determined to be more organized this year. (I think I say that every year.) So, I've created a Monthly Card Organizer. Each month has a calendar for noting special events and a pocket to insert the cards for that month. I kept the embellishments to a minimum because I want to be sure my cards will go in each pocket undamaged. Remember, you can click on any photo to make it larger. 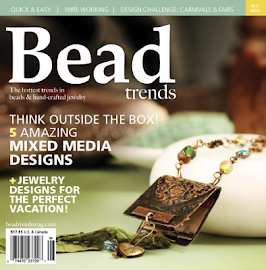 Be sure you check out the fabulous designs this week from the May Arts and Graphic 45 Design Teams. Don't forget to leave your comments....you know there will be surprises. This is so clever and beautiful, I have to go play and make one now. Thank you for the inspiration! I adore your project Charlene! Love your Organizer I need one of these also - I may not be doing a last minute rush again next year - you may just have inspired me to make on. Great organizer. It's something I could use. Thanks for sharing. I so love this...what a great organizer. This is GREAT! What a beautiful, inspiring way to organize! Love it - thanks! Looks like it would be useful and fun to make, sadly I'm so unorganized that it would certainly have to be given away in order to be useful. I have been wanting to make something like this for a while!! Thanks for reminding me. . . G45 just makes it that much better!!! Love this. Good way to keep the cards organized. Thanks for sharing. Love the idea of a monthly organizer. I think I will be attempting this after Christmas. Thanks for sharing. Love this project. Good way to keep your cards organized. Thanks for sharing. I LOVE this idea...every year I come across cards Ive save from years past.I'll be trying this project myself. Beautiful project. What a fun little book! I could definitely use one of these! This was an idea I had last year and never got to make it for my Dad who is beginning to forget a few birthdays. This is perfect! That card organizer is very cool...and the Graphic45 papers are perfect for it! Thanks for another great idea! Wonderful Project, should get started on this for family. I love this idea! Way to stay organized! Beautiful book idea.. Love this blog hop.. so much of learning on the way..
An awesome project! I feel more organized already :) Thanks for sharing! What a wonderful idea! You did a great job on this. What a beautiful book for cards! I wish you would have place a step by step instructions. I just love this idea! I have made a few of these out of a plastic 3 ring binder and dolled it up, but your version is so much more cozy. I hope you don't mind if I "lift" some of your ideas? Love it! Thanks for the fantastic idea. Now I'm inspired to make one for all of my scrappy friends! Love this idea! Great design too! Gorgeous calendar, I love it, bravo! Love your very usful project idea. I love your project. It's useful and beautiful, just perfect. I am soo casing this. I love this - very clever! Love this project. It's so classy and useful. What a great idea! I love the vintage vibe of your cover and that striped ribbon is so gorgeous! Beautiful organizer. And it's so nice as a gift. Oh I love the card holder. Such a great idea for gifts. That is a really cute book! I can think of at least 10 different things to use it for -- thanks for sharing your idea. Greast idea, I need to make one of these too! What a wonderful project. These would also make great gifts for my friends. Fabulous and simple enough that I could finish it in time to use it. I love the album. It is beautiful and yet so simple. Happy Holidays! Fabulous and not just pretty. Love, Love, Love this project! Thank you for your inspiration. Wow you did a beautiful job! What a fantastic book, each page is beautiful. That is a super project! I think I need one of those!! 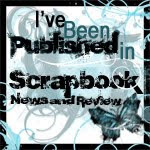 I'm blog hopping and it's all stupendous!! I absolutely love your project! wonderful calendar book. i'm in the process of making a couple of calendar books, myself. Your blog is so inspiring the projects are just yummy! I'm having a great time blog hopping. Love your version of this calendar keeper!!! 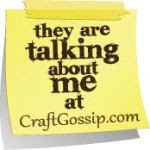 And new to this blog, just wanted to say how much I LOVE that ribbon tree from Monday's post!!!!! I could manage to be organized with such a beautiful card organizer! Wonderful, to say the least! I saw your great project on Splitcoast. I keep saying I need to make one of these for my sister in law who loves to send cards. This is such a fabulous idea! I need that kind of organization in my life. Thanks for inspiring me. Great papers!! Charlene, sua agenda é linda!!! Tão colorida e delicada! Adorei! Great idea, instead of buying daily journals, we can now create/customize our own. Thanks for the idea. Great organizer - something I need! Love your card organizer, what a great idea ... humm great gift idea ! I will definitely make this card book!! It is so cute and very practical! Thanks for sharing your great idea! super project. great time of year for this organizer. I just love the cards book! Thanks for sharing! Love this card organizer. TFS! Totally love this! What a great way to stay organized! Love the perfection in your work. 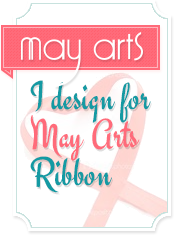 May Arts Ribbon and Graphic 45... what a delicious combination!! 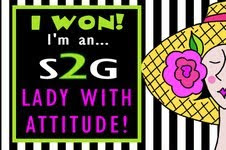 Your project is absolutely fabulous!!! What a great idea. I love anything to help me be more organized. What a great gift this would be with a few handmade cards. This is certainly the gift that would keep on giving. Thanks. wow! what an awesome organizer!!! thanks for the inspiration! Thank you for sharing such a fabulous idea. Think I will be making one of these. Oh, Charlene, this little calendar album is awesome!! great job!! and congrats on being on the G45 blog!!!!! I love thos album I could do so much with it. The organizer is beautiful, and you are so creative! That has got to be one of the most beautiful organizers ever! This is lovely - a great gift idea! you are a GENIUS! What a wonderful use of these gorgeous papers & ribbon!! Do you have a tutorial to make the cards album? Its really smart!! I was just about to make a box or something to store my cards for next year. I've been late with several of my cards this year and don't want to forget them next year. This gives me much inspiration. Love the papers. I love projects that have practical uses and look fabulous at at the same time. Wow, this is beautiful! I would almost hate to put cards into it since it would hide the pages!! WOW Can you please make me one of these LOL. Stunning and creative! Just totally gorgeous - I love this idea and will HAVE to find time to make it!! Would love to see directions on how to create it. It's beautiful and functional! I'm new to this but so excited to see your talented ideas. Thanks! I love that card organizer!! It would make a fantastic gift, and I think I may make some filled with cards for family members! Love the project...great idea to have somewhere to keep the cards make in advance. Love it, love how you used different lines of Graphic 45! I LOVE your albums!!! The Graphic 45 Christmas papers are amazing!!! May you have the best Holidays Season!! What a neat project. Looks so professional! Beautiful papers. Great project and a useful way to use your favorite papers and ribbons. I have to have the organizer! Thanks so much. Seu projeto é realmente encantador!! I love your monthly card organizer. It's a great idea. Love your project!! So beautiful and so practical!! Beautiful organizer you created, thanks. Love the cards book, it looks so easy to make and would sure help keep you on track through the year. OK, Wow! How beautiful! Definitely worth keeping and reviewing. Organization thats beautiful too! Very pretty. Ooooh this is so me! I love this! I might have to scrap-lift this idea and try one myself! GORGEOUS!! This is a great card organizer. tfs. WOW...what an amazing project, but that doesn't surprise me coming from you. Everything you do is amazing!!! It's been so long since I have been to visit your blog, I'm going to take a look around to see what I've missed. I need to make this. I keep trying to get organized. I'm usually good til March. Then the birthday rush catches up with me (there are 12 birthdays between the end of Feb and April). Thank you for sharing! Clever idea and nicely done!! Bravo!!! You created a beautiful way to stay organized. I am inspired! Great idea - and yours is beautiful! Great idea for not missing important dates, and even better, to use up scrap leftovers to make cards to fill in all the pockets. Beautifully done. I like the classic lines. LOVE your project!! The paper is perfect. I really like projects that are useable. thanks! Love this, so clever and beautiful! Just Beautiful! You are so talented! I can't wait to try this! Looks great and it is so useful!! I really like this project and your use of all the paper - this is a great gift idea! Charlene, this is so amazing. It must have taken a while to do that! This is an awesome project. As I am making the cards for my Mom to send out thru 2012; this will be an excellent way of organizing the cards for her. Thanks for sharing and have a Merry Christmas. Great idea, and very cute!!! I just love this idea .... I think I shall do this this week and make my DH wrap presents! LOL Thanks for the inspiration!